The Escuela de Graduados en Administración y Dirección de Empresas — generally translated as Graduate School of Business Administration and Leadership but officially branded as EGADE Business School since 2010 — is the graduate business school of the Monterrey Institute of Technology (ITESM): one of Latin America’s largest private universities and one of the most prestigious business universities in America. 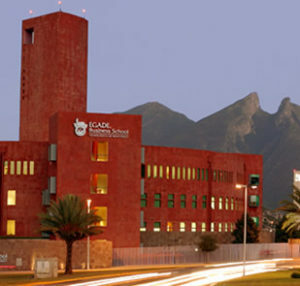 The school is generally ranked among the best in Latin America by most international financial publications (see Rankings) and in 2008 its Monterrey campus became the fourth in the region and the first in Mexico to achieve simultaneous accreditation by the United States’ AACSB, the European Quality Improvement System (EQUIS) and the British AMBA. At the time only 34 business schools in the world were holding this ranking.